Road safety charity the IAM is offering weekly motoring tips from Britain’s top advanced driver, Peter Rodger. This week, he is advising on lane discipline on the motorway. Use all of your mirrors regularly, as well as before making any manoeuvre or lane change. Signal early to give other road users time to react – many will be happy to let you out if given enough warning. Change lanes gradually. Don’t expect or force other drivers to move out of your way. Don’t compromise your safe following distance when changing lanes. Always look out for other cars aiming to move into the same space as you from another lane. Never get in the way of other vehicles unnecessarily. Always try and stay on the left hand side of faster moving traffic. 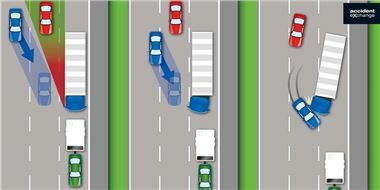 Anticipate the needs of other drivers ahead of you to overtake, especially those in Lane 1. Read the overhead gantry signs – they give useful information and can help you decide which lane to use.